Is a non profit 501 (c) 3 organization bringing public attention to animal safety through emergency awareness and disaster preparedness. Their main focus is raising funds for Pet Oxygen Masks and donating them to fire departments and other first responders. Pet Oxygen Masks are oxygen masks specifically designed coned shaped to fit muzzles and snouts of dogs, cats and other house hold size pets. They offer fire fighters the right equipment to save your pets life in case of emergency like home fires. Have you ever thought about it? Does your fire department have what it takes to save your pets' life? This foundation is doing everything they can to make sure they do! A portion of all proceeds from the Doggie and Me profits benefit their cause. They also hold educational programs and presentations, aiding in a pet savvy public. You can also donate directly to them through the link below. Thank you for your support! 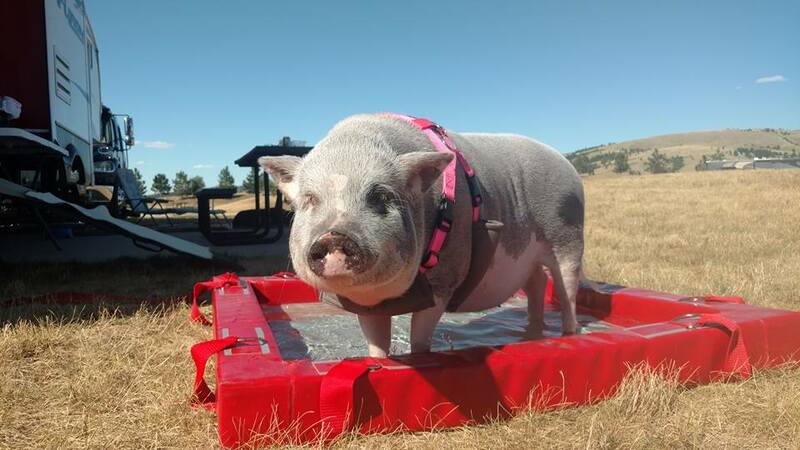 Yes, we are the Piggy Pool People! And a portion of all sales benefit the Emma Zen Foundation!